Here’s another opportunity to learn a skill, trust me multiple skills is ‘king’. 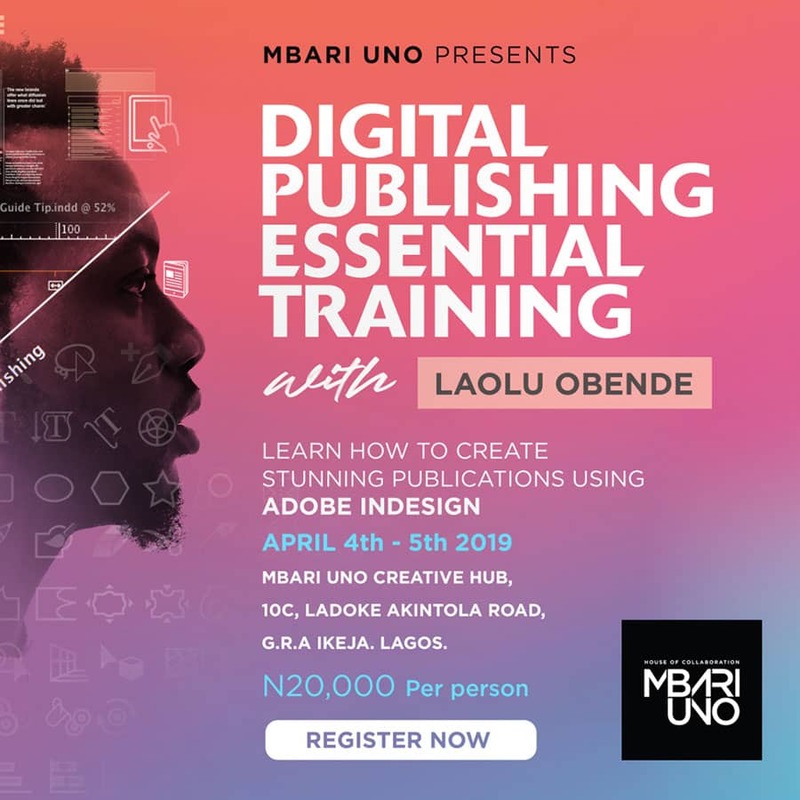 This training focuses on learning how to create publications using Adobe Indesign. 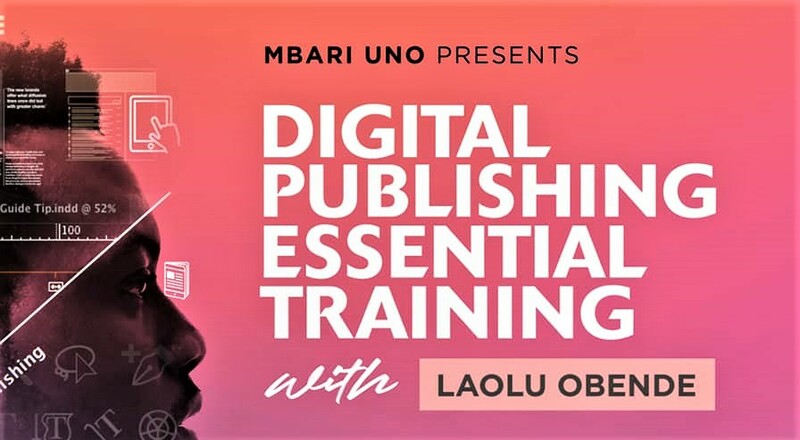 As part of the Mbari Uno Workshop Series aimed at deepening design knowledge and driving innovation, Mbari Uno presents Digital Publishing Essential Training with Laolu Obende. Laolu Obende is a hybrid creative, entrepreneur, art tutor, painter and creative director. He is the founder of Levitate Creative Studio. 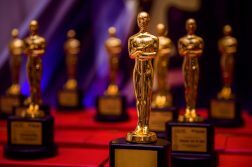 He thrives on excellence and is driven by the belief that there is always a “better way” of doing anything. 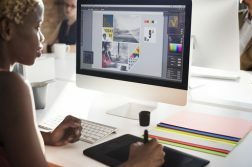 This program will focus on bridging knowledge gap for designers aspiring to take up a career in publishing design. It will be well structured and simplified for enhanced learning. Would you not join this class? 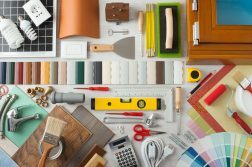 Come learn how to create stunning publications using ADOBE INDESIGN. Enrol and secure your place on the program starting from April 4th- 5th, 2019. Date: April 4th – 5th, 2019, see flyer for other details.